The Boeing totem, introduced in 1926, was the first widely used Boeing logo. Today it is still a symbol of aviation leadership and company pride. 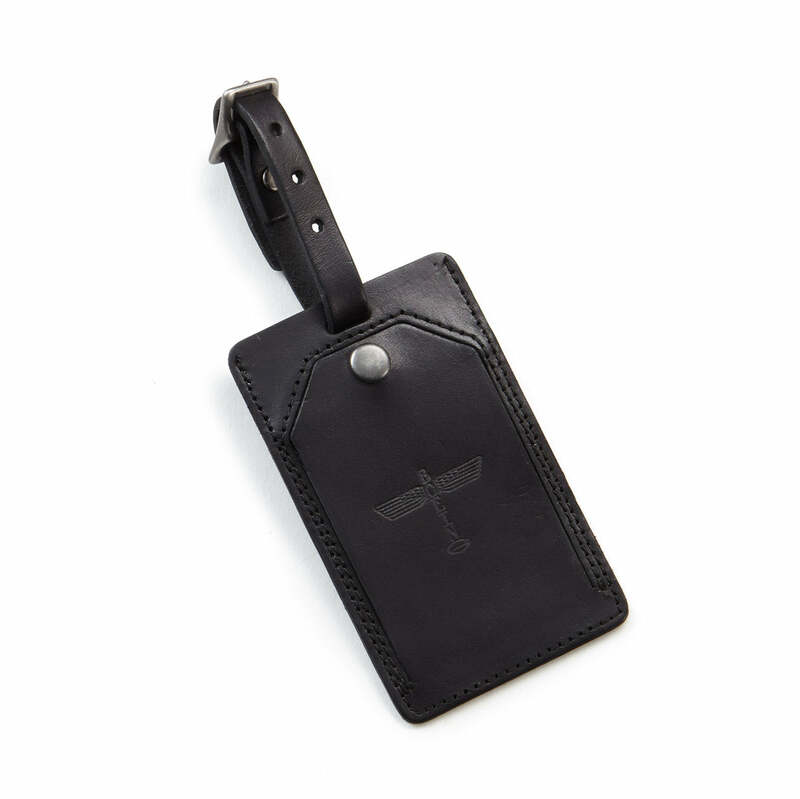 This distinctive 100% leather luggage tag honors that heritage, featuring the classic totem logo debossed on the front flap and the contemporary Boeing logo on the back side. Tag includes a front security flap with snap closure and adjustable buckled strap. Measures 4"L x 2.4"W. Made in USA.